Figure 5-10.Attachment evaluation inspection guide. 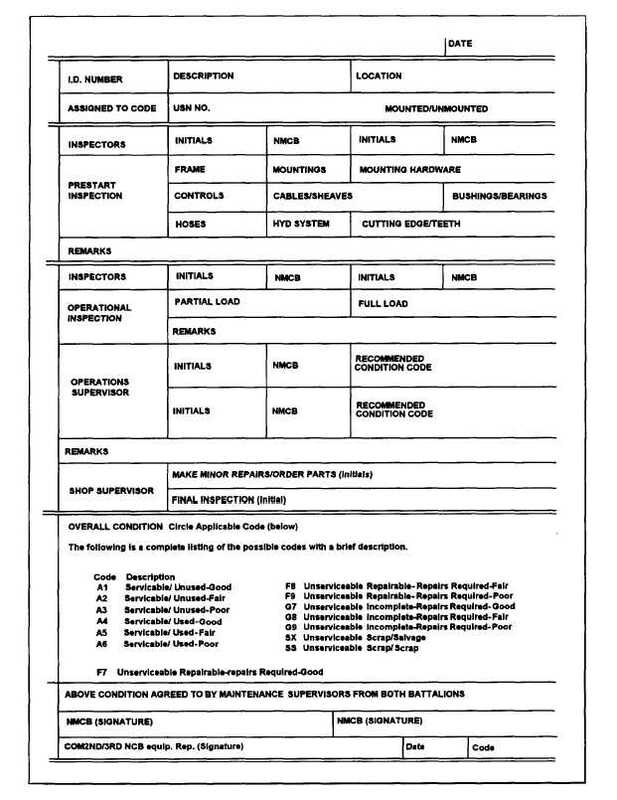 Home > Construction Training Manuals > Naval Construction Force/Seabee 1&C > Figure 5-10.Attachment Evaluation Inspection Guide. Figure 5-10. - Attachment evaluation inspection guide.